Most people, when faced with a life challenge, obscure their adversity and then hope to heavens it doesn’t reveal itself. Others dig in and face the opposing force head on. 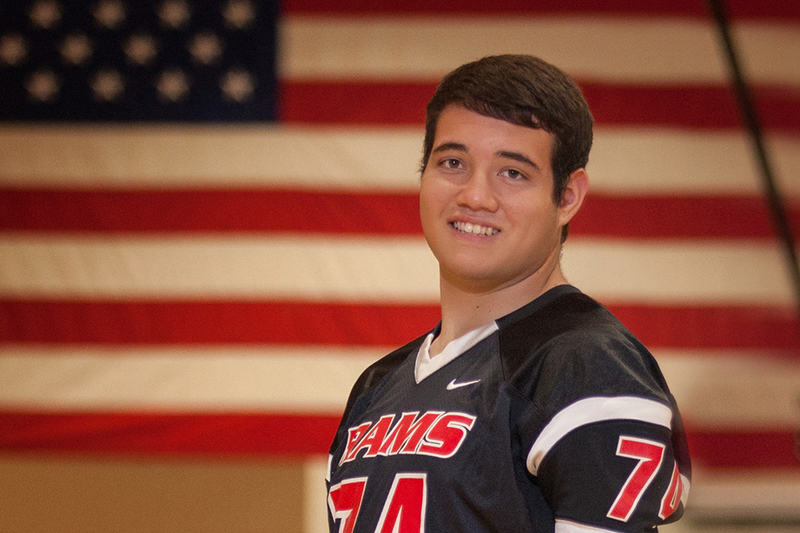 Maricopa High School graduate Noah Salinas is without a doubt that second type. Originally from Sterling, Colorado, Salinas, 18, was born missing the lower half of both legs along with his entire left hand, a condition referred to as tri-amelia. Such a condition can severely limit a person’s ability to function, sometimes forcing them into a wheelchair and/or a life of assisted-living. For Salinas, nothing could be further from reality. Before starting school, Salinas had no concept of being different. It didn’t dawn on him until he showed up the first day of kindergarten and saw other kids without prosthetics. He returned home that day and received a rather straight-forward explanation from his parents, one that evidently had a major effect on the way he would later approach life. Soon after discovering this potentially constraining position in life, around age 5 or 6, he found surprising success at one of the activities few would imagine he could even attempt – wrestling. Salinas was a natural athlete, according to his mother Amber, and he became interested in other sports, including the very physical game of football. A few years after playing in a few pick-up games with his cousins, Noah joined a youth team in Colorado. When trying new, daunting tasks Salinas claimed to never make much of a consideration for his condition. Others are not so capable of overlooking his prosthetics. For those people, Salinas has a special response. 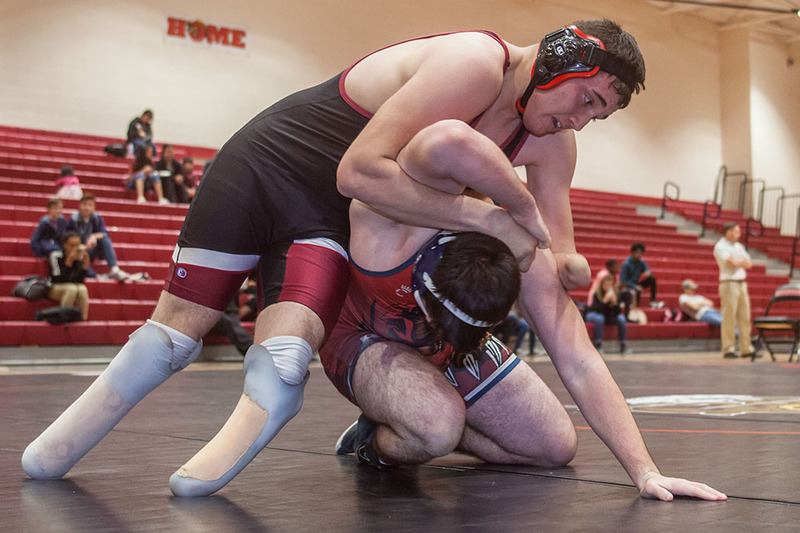 While growing up, Salinas switched back and forth periodically between football and wrestling. In 2015, after his family came to Arizona, Noah attended Williams Field High School in Higley and made the football team. Due to the coaches’ attempts to shelter Noah, his mother said, he was never allowed to play in games. Noah was the recipient of the national Sports Authority Courage Award in 2016. His family decided to bring him out to Maricopa, where they hoped he would have a chance at playing. Again, he was not on the field much. But, like much of his life, he never really let that get him down. With all the focus on football, he avoided the mat most of his high school career until his senior year, when he thought he’d give it one last try. 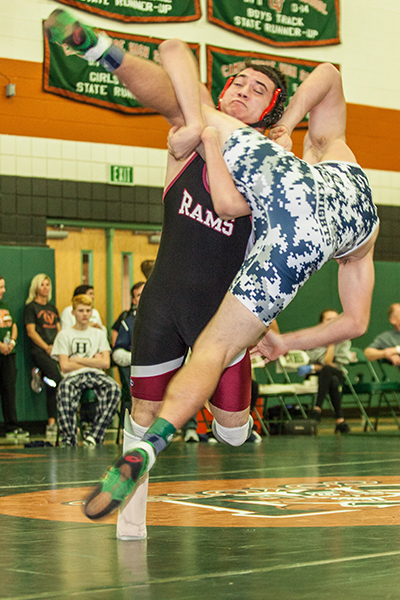 He finished with an almost even record at 16 wins and 18 losses in the 182-pound weight class, pinning six of those opponents and earning a respectable 85 points for his team throughout the season. To give himself better purchase on the mat, Salinas removes his prosthetics when wrestling and instead dawns rubberized socks. Removing his prosthetics gives him another advantage as well. He towers over most opponents when wearing his prosthetics, standing well over 6-feet tall. However, with his legs removed, he is slightly shorter than most of his opponents, making it more difficult to take him down. “That makes it so they can’t really get to me the same,” Salinas said. All athletic prowess aside, Salinas is an otherwise typical teenager, with concerns about girls and friends. But most importantly, Noah is looking to the future. Hoping to follow in his father’s footsteps, Salinas is considering a career in welding. And though he hardly ever wears his prosthetic hand because it causes discomfort, he has conceded when it comes to welding he will most likely have to have some sort of prosthetic. Because of work, Salinas’s family had to return to the Higley-Queen Creek area this year before school could finish. Fortunately for Salinas, he said, his close friend and fellow MHS wrestler Kevin McDill has a “really great” family who offered to let Noah stay through graduation. 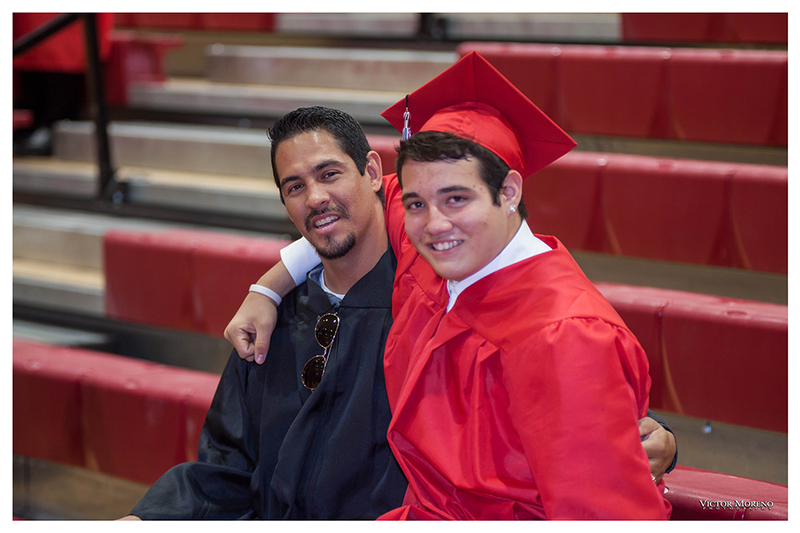 Wrestling head coach Erick Fierro chats with Noah Salinas on graduation night. Salinas plans to attend one of the community colleges in the area to receive the vocational training needed to become a professional welder. He isn’t afraid of any barriers he could face in the often rough-neck field of metal workers and welders. He simply plans to stay true to his philosophy.